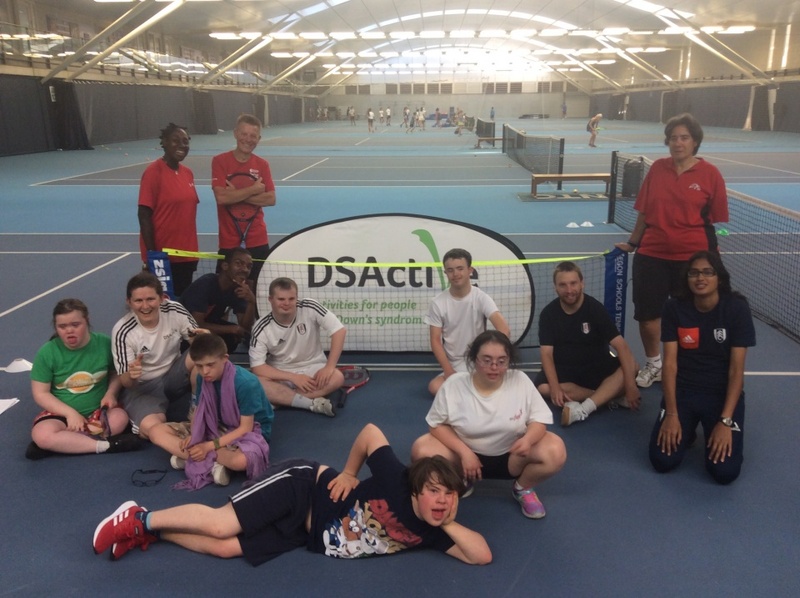 To celebrate the end of Wimbledon 2018, DSActive ran a tennis festival at the National Tennis Center, Roehampton. We had 10 people with Down’s syndrome which attended the event. The National Tennis Center is home of UK Tennis and many tennis players train at the centre. British star Andy Murray was training on the same day as the tennis festival. The festival started with a group warm-up with all the players and volunteers. The aim of the warm-up was to begin practising skills and techniques to be used for the tennis festival. Also, all the players were stretching so that they can prepare muscles, ligaments and joints. There were five tennis stations with five different drills: flooring tennis, rallies, volleys, catch 21 and serves up. Each station had a coach running the drill and all the players rotated through each the stations. Each tennis station lasted for 12-14 minutes. All the players showed different techniques such as volleys, serves, catching, throwing, forehand, backhand and more! After the tennis stations, the players had a mini-tournament and played singles tennis matches. Each match lasted 8-12 mins and each player played several matches. The players added new rules to some of their matches such more bounces, increase/decrease court size etc. bag for attending the tennis festival. 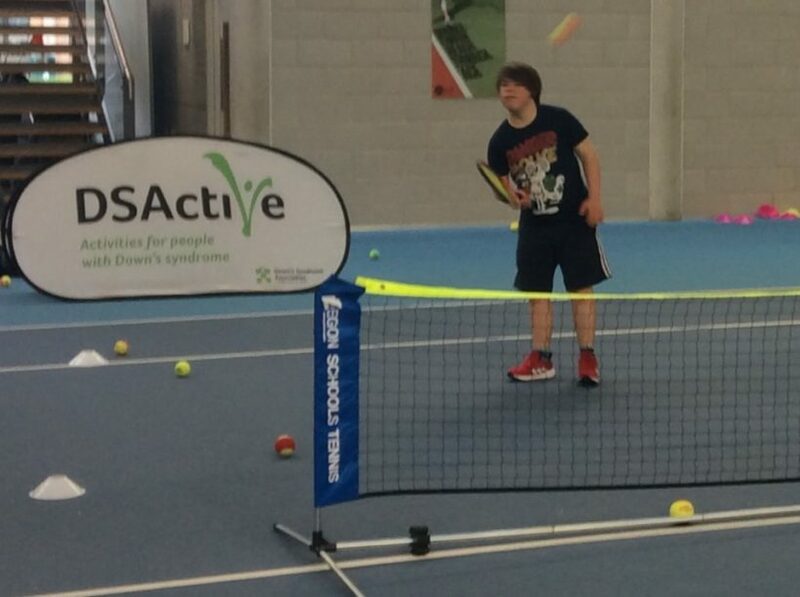 To find a DSActive tennis session near you have a look at our interactive map or get in touch with the DSActive Team via telephone 0333 12 12 300 or via email.